Tramwaje Warszawskie, the municipal operator of the tramway system in Warsaw, has chosen the supplier for the largest order in its history. The South Korean manufacturer Hyundai Rotem will supply 213 low-floor trams to the Polish capital. The first vehicles will be delivered in 22 months after signing the contract. The firm order should be supplied by the end of October 2022, while the option is expected to arrive in Warsaw by the end of October 2023. The firm order includes 123 trams, among them 85 bi-directional and 18 uni-directional units 33 metres long as well as 20 uni-directional units 24 metres long. The procurement also provides an option for 90 additional 33-metre vehicles (45 bi-directional and 45 uni-directional units). The entire delivery costs 1,852 million Zlotys (circa 429.5 million Euros). The bid price does not include the value-added tax. The procurement to supply 213 trams was announced in September 2018. Besides the Hyundai Rotem, there were four other candidates. Siemens and CAF sent empty envelopes without noting any probable prices. Two other bids were rejected as too expensive: a consortium of Stadler Polska and Solaris Tram proposed 2,011 million Zlotys nett (466.5 million Euros), Pesa – 2,300 million Zlotys nett (533.6 million Euros). According to the tender documentation, the procurement is worth 1,889 million Zlotys nett (circa 438.2 million Euros). It is the second attempt of Tramwaje Warszawskie to purchase 213 trams. The operator has made its first effort in 2017. Five participants proposed their bids: a consortium of Stadler Polska and Solaris Tram, Hyundai Rotem, Alstom, Pesa, Škoda Transportation. Tramwaje Warszawskie could not choose the supplier and the procurement was delayed. 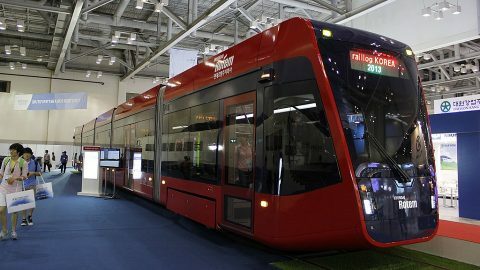 Hyundai Rotem tram in Izmir, source: Wikipedia. Hyundai Rotem is specialised mostly in supplying trains and metro sets. The Warsaw deal will be the second tram delivery for the South Korean manufacturer. 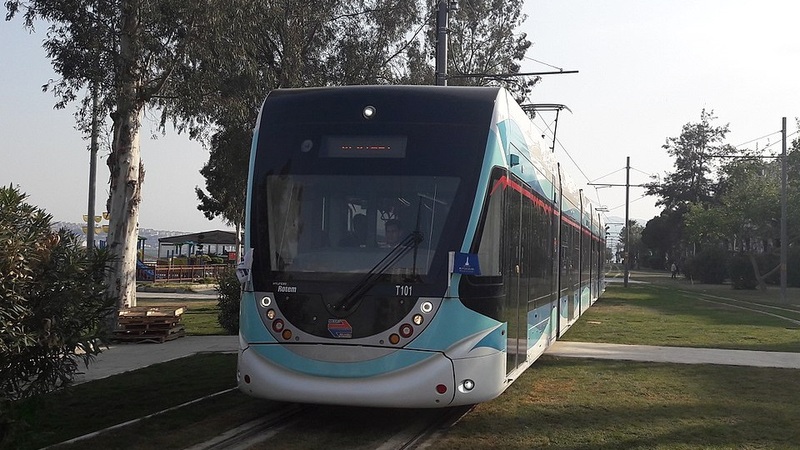 In August 2014, Hyundai Rotem signed the first tram contract with İzmir Metro company, the operator of metro and tram networks in the Turkish city of Izmir, for supplying 38 low-floor trams. Moreover, the manufacturer also developed a catenary-free tram. The fleet of Tramwaje Warszawskie includes 529 vehicles, 311 low-floor units and 218 high-floor units. All the trams were produced by two Polish manufacturers – Konstal and Pesa. Last time, Tramwaje Warszawskie received the new low-floor trams in 2014-2015 when Pesa delivered 80 vehicles of the Jazz family (50 units of type 128N and 30 units of type 134N). The Polish manufacturer also supplied 180 low-floor trams of type 120Na (Swing family) in 2010-2013. The delivery was provided in accordance with the 2009 contract.